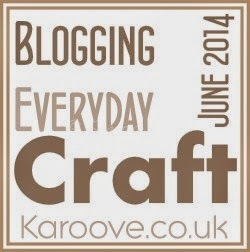 Its Day 18 of the Craft and Blogging Challenge, so bring it on - what you got for today's prompts? I created these Christmas Cards last year to give for friends, it was based on a layout from Kristina Werner. I used some Christmas chipboard shapes, embossing folders and powders, some Christmas paper from Dovecraft and coloured twine. Hope you guys liked this post and please do leave a comment below! I'd love to know your feedback!